Worldwide, waterborne diseases consistently rank among the top killers each year. Here in the United States, the risk of contracting a waterborne illness is much lower, but it’s still a possibility. 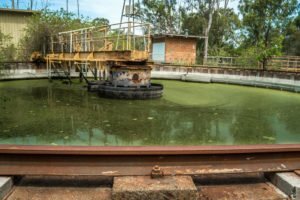 Keep in mind that this article is discussing the worst waterborne diseases in the United States in its current condition, functioning electrical grid, water treatment plants, sewage systems, etc. In a grid down situation, everything discussed here will increase exponentially, which we will discuss in a future article. 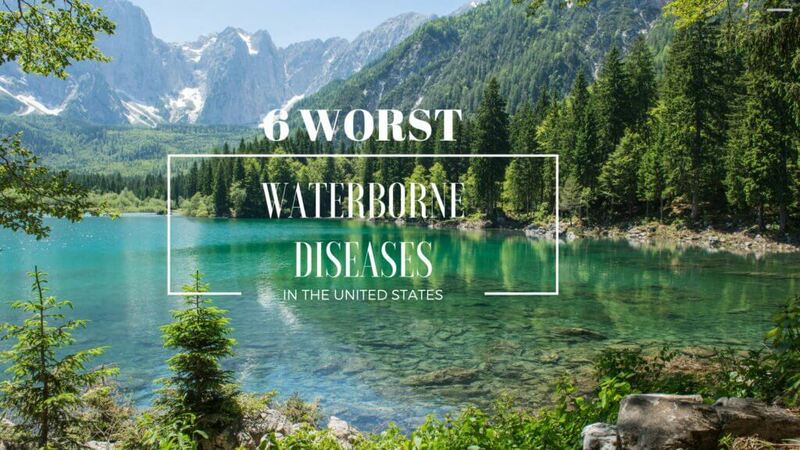 The following are the worst waterborne diseases that you’re likely to encounter in the United States. A parasite that causes diarrhea and other intestinal problems. It is normally spread when a person drinks water contaminated with feces. Cryptosporidium is very resistant to chlorination, is difficult to filter out of water and can live for a long period of time outside of a host. In 1993, an outbreak occurred in Milwaukee leading to over 400,000 people becoming infected. The most common intestinal parasite found in the world. In undeveloped countries, up to 25% of the population may be infected at any given time. In developed countries, around 5% of the population is thought to be infected with Giardia. It causes diarrhea, intestinal problems and has been linked to stunted growth in children. Like most other waterborne illnesses, it is spread by drinking from a water source contaminated by feces. This disease affects around 50,000 people in the U.S. every year. It can be found in nearly 40% of lakes and rivers, hot water tanks, whirlpools, and groundwater. It is contracted by the inhalation of contaminated water, and leads to respiratory complications, fever, weakness and eventually kidney failure. Legionnaires’ disease can be mistaken for pneumonia since they have similar symptoms in the early stages. Hep A is found in any body of water that is contaminated with feces. It leads to fever, anorexia, and fatigue. You can tell if someone has Hep A because they will develop pale stool and dark urine. Luckily, Hep A has a vaccine and is treatable with modern medications. This affects close to 140 million people worldwide, leading to an estimated 600,000 deaths. In the U.S. the number of people infected annually is only around 30,000. Dysentery affects the lining of the intestine and eventually leads to bloody diarrhea. Once again, this disease is spread by consuming water infected with contaminated feces. Cholera is a bacteria that leads to severe diarrhea and vomiting, causing dehydration that can cause death in 1 to 5 days. Symptoms occur after between 12 hours and 5 days of drinking infected water. Modern medicine and sanitation have effectively eliminated Cholera in the U.S., but new outbreaks are possible due to visitors from outside countries. In the U.S. we pretty much have clean water on demand. That, combined with modern sewage treatment plants, makes waterborne disease relatively rare compared to other parts of the world. This means that most Americans will only be in danger of contracting one of these diseases if they are drinking from untreated water sources or following an event such as the breakage of a sewage line. Untreated or possibly contaminated water should be boiled if possible before being consumed. Other options are filtration with something like a Big Berky or a Life Straw. Water treatment tablets are also available for relatively little money. There are a whole host of good options when you’re looking for the best survival water filtration system. Make sure you read over our article before making up your mind. By being smart about what water you drink, and ensuring that you properly disinfect or filter it, you can avoid the worst waterborne diseases in the United States. Understanding the diseases you may face in a bug out situation or in the event of a flood can mean the difference between life and death. Head over to our other preparedness articles.